As snow and ice blanket our fair state in the winter months, the running “off-season” descends on those of us who fear the unexpected slip or dislike the brutal wind and cold. While some may view it as lost mileage, I encourage you to view it as an opportunity to make or break the upcoming race season. 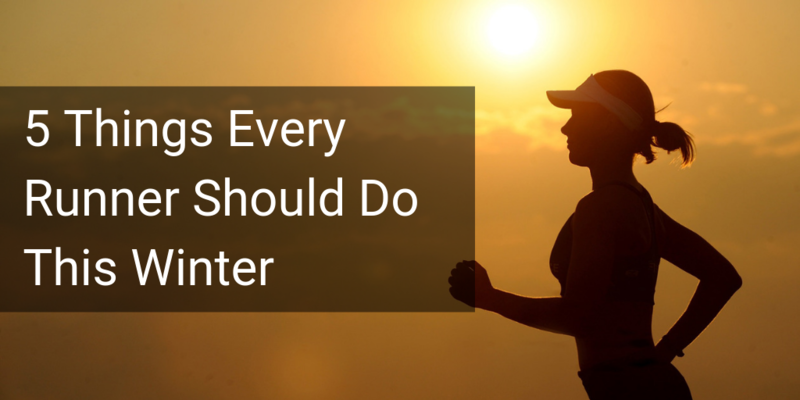 Here are five things every runner should do in the off-season. Mobility means more than just a few quick stretches before or after a run. Gaining and maintaining mobility, particularly through yours hips and ankles, can reduce undue stress on your knees, Achilles tendons, plantar fascia, shins, hips, and low back. Improved mobility can also improve the efficiency of your running mechanics, reducing energy waste in a sport where energy management is so important. 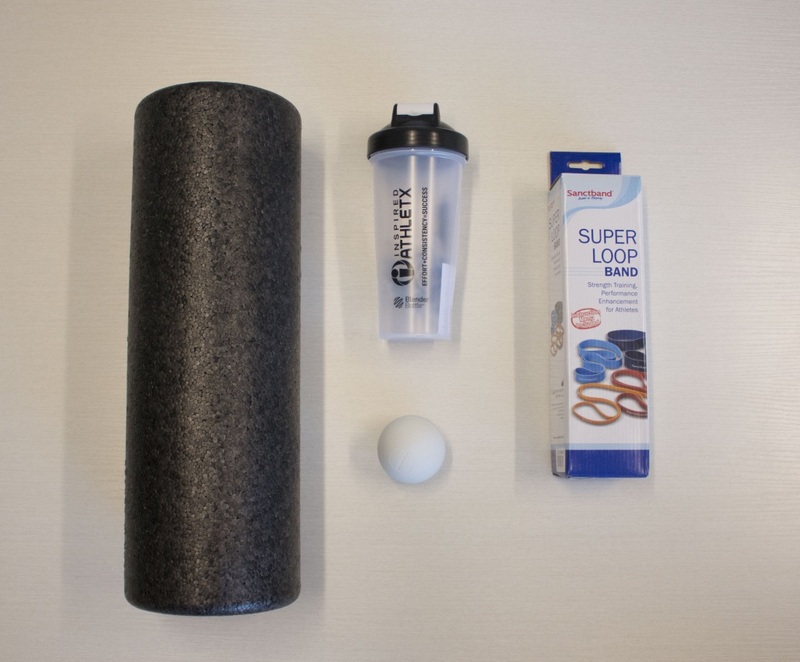 Mobility work starts with a solid mobility kit. This includes a 6 inch diameter firm foam roller, a lacrosse ball or tennis ball, a yoga strap, belt, or powerband, and space to spread yourself out. Using your foam roller or a lacrosse ball, roll your quads, hip flexors, IT band, hamstrings, calves, adductors, and glutes, rolling over each area 10-15 times and pausing on sore/tender areas until you feel a release. A lacrosse ball is much more intense than a foam roller due to the increased pressure secondary to decreased surface area. Do not roll over bony prominences like the outside of your hip or knee joint. Especially for people who are very tight or new to mobility work, foam rolling will not feel great! Finding sore, tender spots means that those areas need to be worked on. Stick with it 3-4 times per week, and in a few weeks you will notice decreased soreness and stiffness. Using your band or belt to assist you as needed, stretch your quads, hip flexors, hamstrings, IT band, glutes, calves, and adductors for 15-30 seconds 3-4 days per week. A stretch should be uncomfortable, but never painful. If you are unsure how to roll or stretch any of these body areas, click on the image above to go to @inspiredathletx page on Instagram. We have a lower body mobility highlight (top of the page) with video instruction! Strength is another area that runners tend not to address as much as they should. Many fear adding too much bulk or would rather focus their limited training time on adding mileage. A strengthening routine designed for a runner will not add unnecessary bulk or take up much training time. Investing in two 30-45 minute strength training sessions per week can improve your running efficiency and minimize risk of overuse injury, allowing you easier, pain-free miles when you hit the trail or pavement. Two areas a runner must strength train are the core and hips. 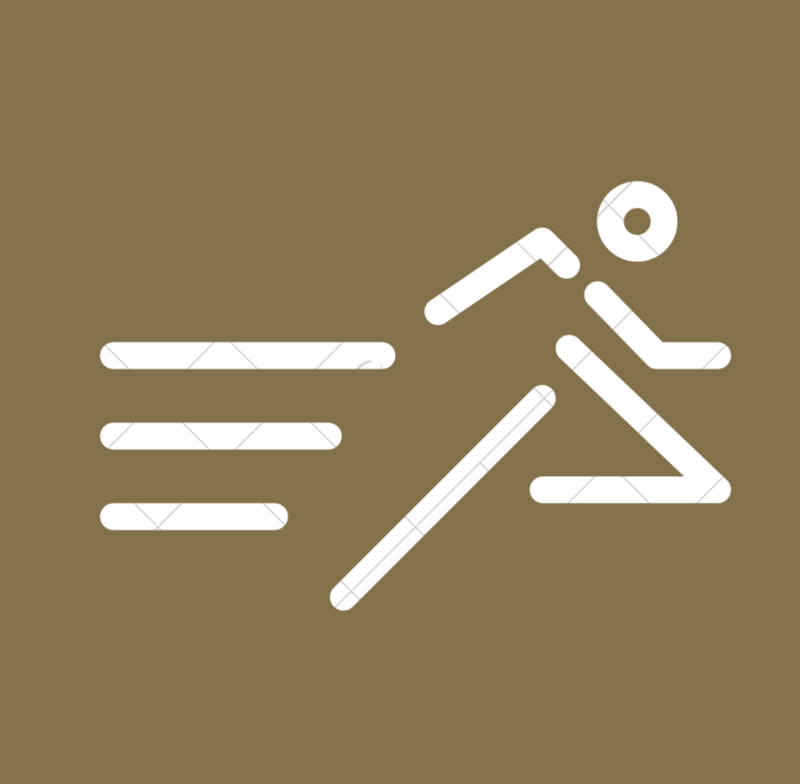 A runner must have a stable core as this is where all of your energy is transferred from one leg to the other while running. An unstable core is like building a house on the sand – you will waste a lot of energy and eventually things will fall apart! Stability exercises like side planks, front planks, and deadbugs can help improve your core stability. Your glutes/hip muscles control most of your lower extremity alignment, and, as the largest muscle group in the body, should be responsible for the majority of your forward propulsion while running. A weak hip results in excessive valgus at the knee (knock kneed) and overuse of the calf and quads for forward propulsion. This can result in many common overuse injuries in runners – runner’s knee, IT band friction syndrome, snapping hip, patellar tendinitis, achilles tendinitis, shin splints, and plantar fasciitis. Lay a solid foundation by mastering key moves, like the squat, hip hinge, and bridge. Then advance to single leg activities that are more runner specific, like split squats and single leg RDLs. If you are new to strength training, we recommend you work with a highly educated (minimum of a bachelor’s degree in exercise science) and certified (CSCS) personal trainer who has experience with runners to make sure you are performing your exercises correctly. This is a great time of year to pursue other cardiovascular endurance training methods to reduce the chronic pounding runners put on their joints. Some of our favorite alternatives include cycling, aqua-jogging, swimming, rowing, and HIIT-type sessions combining cardio and strength training. Feel free to add in runs on nice days – just make sure you dress appropriately and route yourself along well-lit and maintained streets or trails! We’ve all met that runner who says things like, “I get shin splints every spring,” or, “I just have IT band syndrome all the time. It’s part of being a runner.” Maybe you’re that runner! 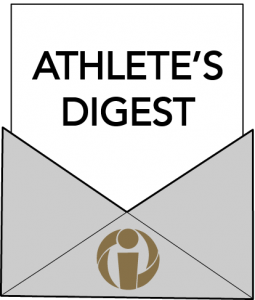 The off-season is the ideal time to focus on getting your body healthy. If you have a history of recurring overuse injuries every spring/summer, you likely have underlying issues that need to be addressed. The real question is, who should I go to to fix my pain? 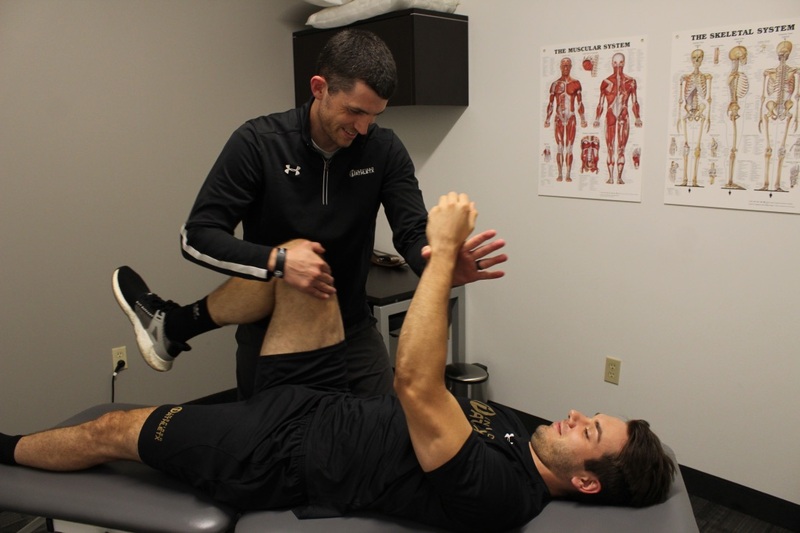 A sports medicine physical therapist is the ideal provider to assess your painful area, gait mechanics, and nearby joints that may be contributing to the injury. Don’t be surprised if they spend significant time addressing an area other than your painful area. 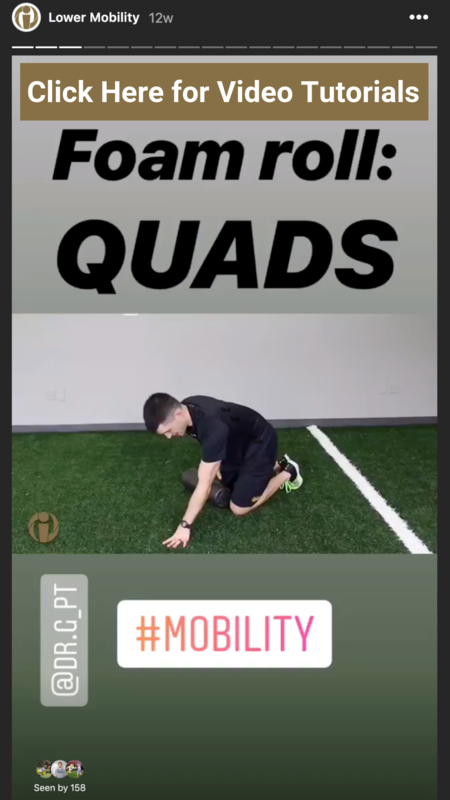 As we discussed in the strength and mobility sections, the lower body is a chain, and issues in one area commonly show up as pain in another area. A physical therapist will help you understand why you have your pain, address soft tissue or joint mobility issues, improve strength and stability throughout the lower extremity, and teach you how transfer what you’ve learned into your running. Bracing, taping, injections, topical agents (biofreeze, icy hot), and medications may provide temporary pain relief, but do not address the underlying issues that are causing your pain. Think of them as a big band-aid. They may be used adjunctively with physical therapy to improve your comfort and ability to participate in your physical therapy program, but without addressing the underlying problems, they will not help you heal. The final key to success is planning ahead for race season! We recently received our Minnesota Distance Running Association race guide here at Inspired Athletx. 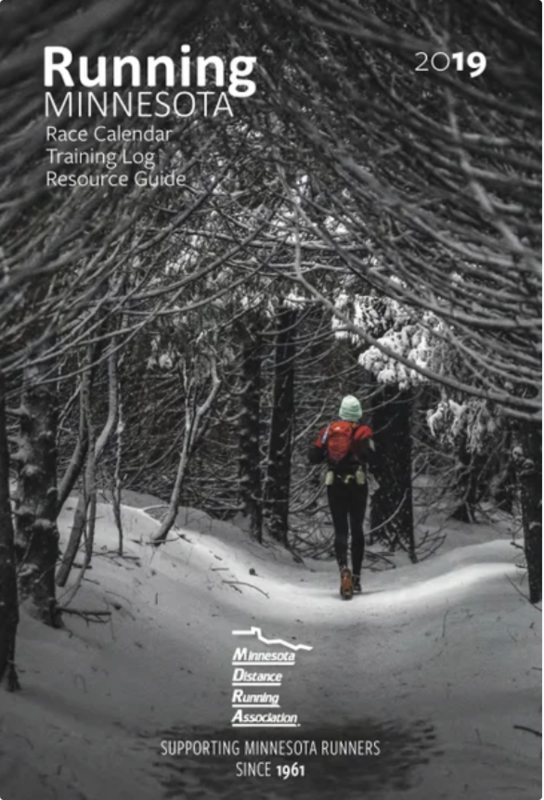 This guide and the MDRA website are excellent tools to help you map out your race season. While it need not be set in stone, having a rough idea of which races you will be participating in is imperative to planning your training schedule for the spring and summer months. In order to remain injury free and competing at your best, your training schedule should make sure you peak at the appropriate time and are allowing for ample recovery time in between big races. If you need assistance designing a training program, seek out advice from running coach, physical therapist, or or personal trainer who works with runners. Run Happy and Live Inspired!